A newsletter is published biannually by the Surrey Dormouse Group. The aim is to inform members of items of interest. 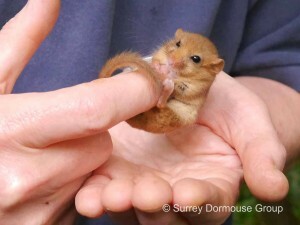 These include data relating to dormice in Surrey, information for those seeking to obtain a licence and events attended by the SDG. Contributions from members are always welcome. The most recent issue is always sent exclusively to SDG members by email when it is released. Previous issues are made available here on our website. 2018 – Issue 7 Spring/Summer distributed to members.